To make a great film you need three things: the script, the script and the script. There's something magical and mysterious, a secret alchemy that's established between the director and the actors on the set. A subtle and evanescent but tangible link, along which powerful energies flow. It's a moment of sincerity and fragility, of exchange and communion between the director and his interpreters, during which anything can happen. "The king is naked" and it's in that moment that what has been thought and imagined on the written page takes shape in front of the camera becoming reality and dream, pain and joy, stasis and action, death and life. In that moment the movie becomes flesh in the actors' body through the director's eye and his vision, shaping itself in voices and silences. It's a growin' path, made of experimentation, fine-tuned work after work, in search of his own voice. It's from a spark, even simple and few lines long, that everything starts. News briefly heard on TV, a whispered phrase in a crowded bus or read on a book. Or, simply, an intuition germinated in an indefinite place accessed through a secret little door, from which the characters now timidly now overwhelmingly look out. So the plot takes shape, develops by images and dialogues, through real or fantastic places. It's the kingdom where everything is possible, inhabited by serious businessmen, lost lovers, broken hearts, scary monsters hidden in the darkest depths of our soul, dancing unicorns, spotless heroes or just ordinary men who live their lives like the rest of us. The heart of Cinema and of any other audiovisual product is handcrafted: no matter how you may have previously planned the shooting in every aspect, it's a work that takes shape on the set, being molded from clay like a statue and then generated during the editing. It's a real artistic forge in which each crew's member, providing his professional skills, become a vital cog in a magnificent wonderland machine. The light, the camera, the crew, the director, the actors and a story to tell: this is all we need to create the magic. Centuries later Cinema is still that "magic lantern" which can make the fiction coming true. From the pre-production to the production and the post-production, in any audiovisual product the director is a conductor whose greatest gift is the ability to listen. Turning an idea, be it for a feature film, a documentary, a music video or a commercial, is an exciting adventure that draws fully from creativity's melting pot. The directing, the cinematography, the shooting, the camera movements, the sound, the editing are the skills that a filmmaker must have to manage all the steps of an audiovisual product up to its post-production. Raised in an environment full of artistic stimuli within a family of directors, writers and actors, Luca Caserta graduated in Filmmaking at Movie Academy of Cinecittà (Rome - Italy), majoring in movie direction and screenwriting with Carlo Lizzani, Giacomo Scarpelli, Cristiano Bortone, Francesco Ranieri Martinotti, Franco Brogi Taviani and Mario Brenta. 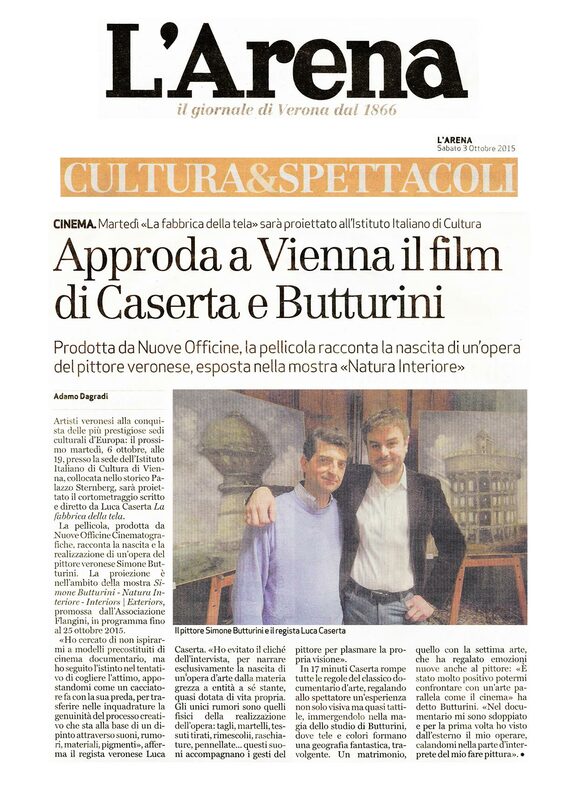 Here he also studied Cinematography, Shooting and Cinema with Giuseppe Pinori, Daniele Nannuzzi and Giuseppe Berardini and attended the workshops held by Pupi Avati, Carlo Verdone and Luis Bacalov. 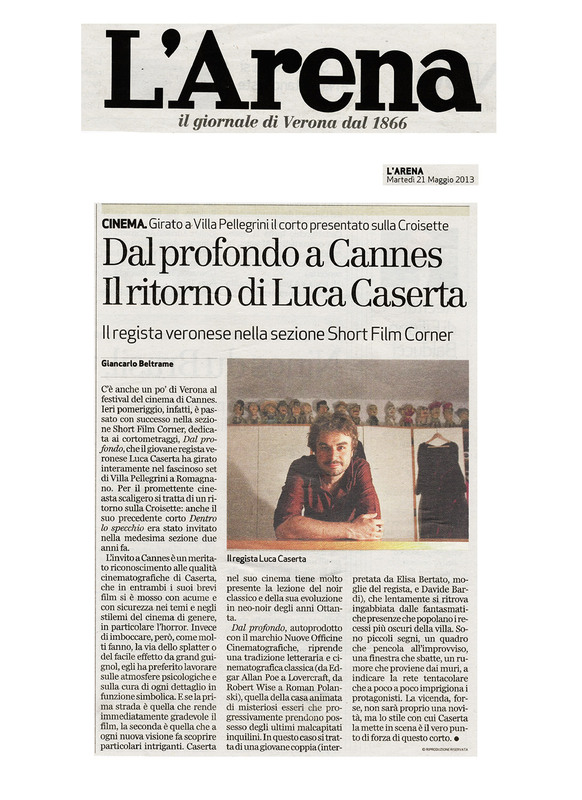 He besides took part in the workshop "Working with the light" held by the director of photography Alessandro Pesci. He's author of short films, documentaries, music videos, commercials, promos and art videos. His movies have been presented at many Festivals (among which Cannes Film Festival, David di Donatello Awards - Rome, European Short Film Festival - Berlin, Roma Cinema DOC, Miami Independent Film Festival, Los Angeles Cinefest, Clermont-Ferrand Film Festival, Hollywood Screenings Film Festival, Canada's World International Film Festival where he won the Honorable Mention). 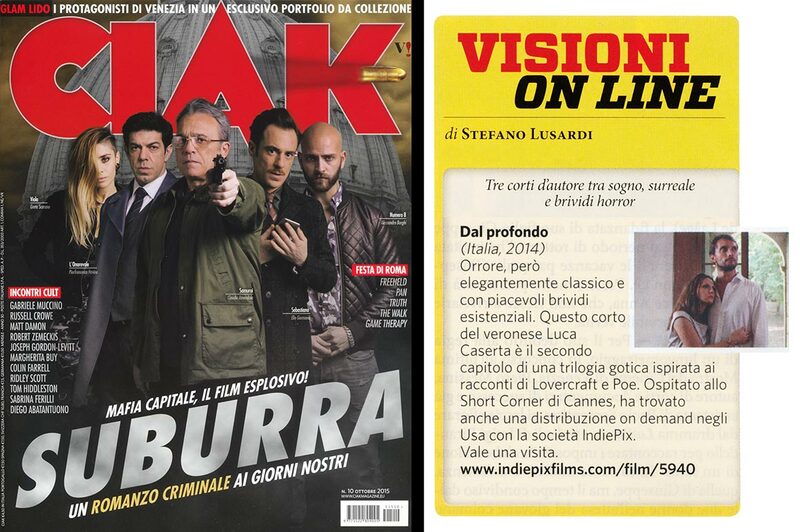 His short film Dal profondo - Out of the Depths, reviewed also on CIAK magazine, is distributed on demand in the U.S. and worldwide by IndiePix Films. Along with Dentro lo specchio - Inside the Mirror and L'altra faccia della luna - The Other Side of the Moon, the movie is part of the "Trilogy of the double", focused on the investigation of what is hidden in the deepest part of the human soul. The editing supervision of Inside the mirror is by Ugo De Rossi, editor, among others, of Fellini, Pasolini, Bertolucci, Petri and Rosi. He has gained professional experiences both in Film Industry and Theatre, where he was engaged since he was a child, taking part to several plays (among which "Thomas Moore" by W. Shakespeare, starring Raf Vallone). Since 2004 he wrote and directed his own plays, achieving many awards (including the “Premio Calcante” by SIAD - Società Italiana Autori Drammatici, Biblioteca del Burcardo, Rome - Italy). Some plays have been published on specialized magazines and were discussed in a thesis. 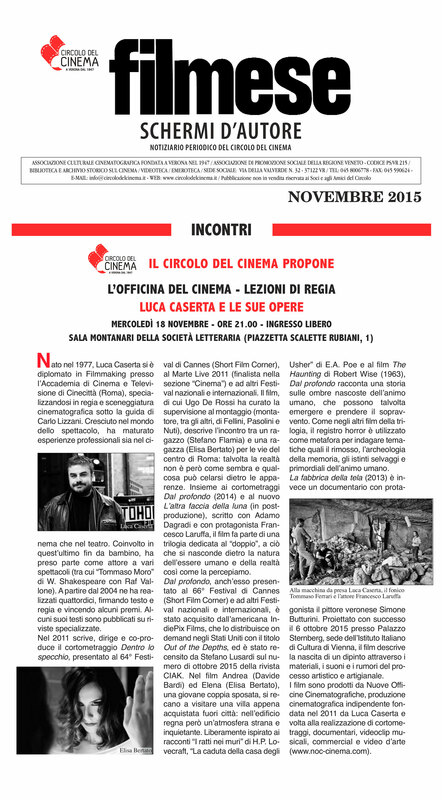 His movies have been included in the Centro Nazionale del Cortometraggio (Italy). He's one of the judges of the Sunset Film Festival (U.S.A.) and curator of the Short Films Section of Schermi d'Amore Film Festival (Italy). 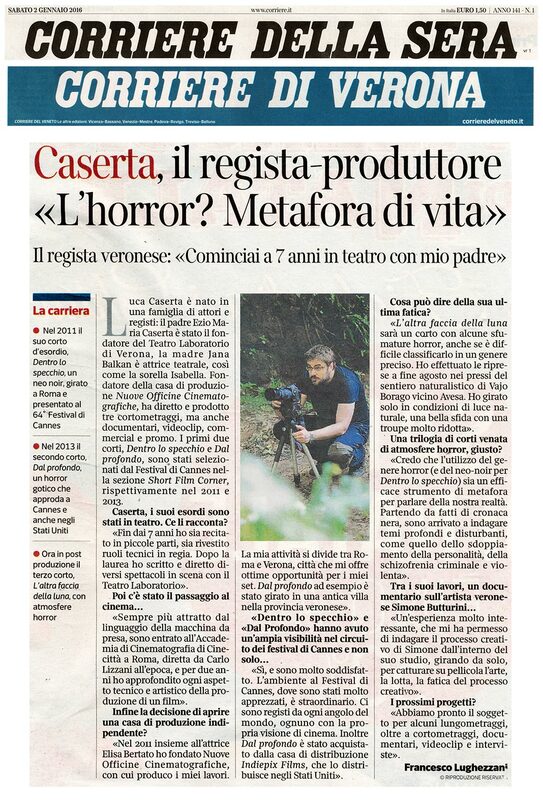 He talks about his work in an interview also on CIAK. He's now working on his first feature film. © 2019 Luca Caserta - All rights reserved.